A San Diego County sheriff’s deputy was arrested Friday on suspicion of groping a teenage girl at a Vista fast-food restaurant. Timothy Nathaniel Wilson Jr., who is assigned to detentions enforcement at Vista Jail, was taken into custody at his workplace about noon, according to Sheriff Bill Gore. “I am deeply disappointed with Mr. Wilson’s conduct but proud of the men and women of this department who do not tolerate criminal acts in the community or within their own ranks,” the sheriff said. Wilson, 32, allegedly fondled the 14-year-old’s buttocks at about 7 p.m. on March 21 while standing in line behind her at a Panda Express on Main Street, near South Santa Fe Avenue. A surveillance system at the restaurant captured video of the perpetrator, who hurried out of the business following the crime and fled in a black sedan. Last week, another employee of the Sheriff’s Department reported that Wilson possibly was the man in the security camera images. Detectives then questioned and arrested the 10-year department member. Wilson was placed on unpaid leave and booked into San Diego Central Jail on suspicion of committing a lewd act on a minor. He was being held on $50,000 bail pending arraignment, tentatively scheduled for Tuesday afternoon. 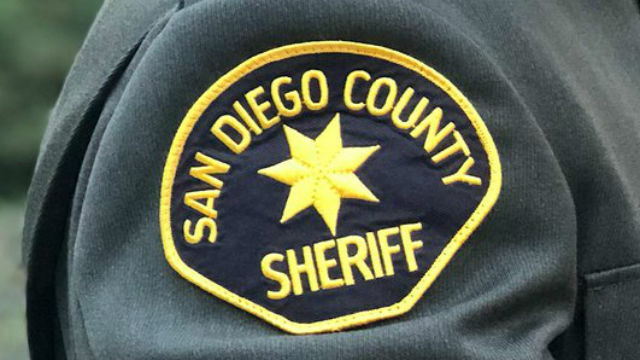 Posted in Crime | Tagged arrested, groping, San Diego Sheriff's deputy, suspicion, teenager, Timothy Wilson Jr.